The information in this post, gift card for my family to eat, and gift pack giveaway have been provided to me by Hard Rock International. All opinions are my own. Last year I told you about Hard Rock Cafe’s new food and drink menu along with Hard Rock Roxtars for kids. 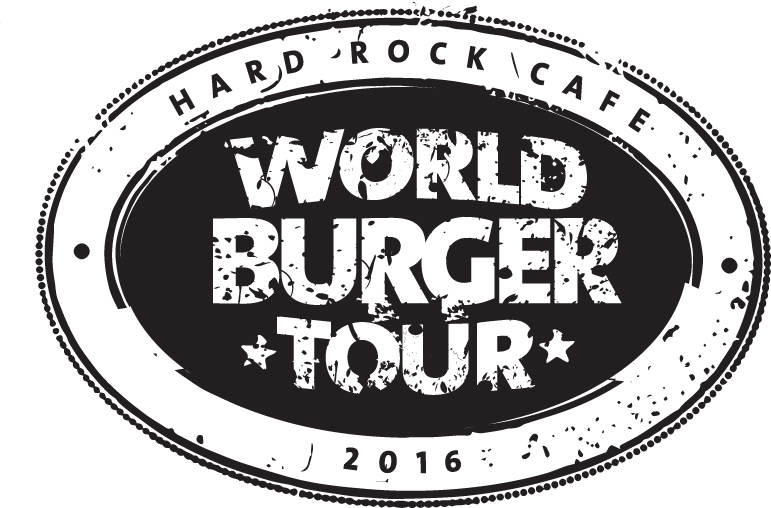 This year, Hard Rock is celebrating burger season with a World Burger Tour showcasing international Local Legendary™ Burgers. *Hard Rock Cafe World Burger Tour menus may vary by location. Consult your local cafe for a full list of featured burgers. Find more burgers on the World Burger Tour website. This limited time menu is only available through June 30, 2016 so you’ll want to visit your local Hard Rock soon for for this mini culinary vacation! My family tried some Hard Rock World Burger Tour burgers this past weekend. Stay tuned for which ones we tried and what we thought of them. Spoiler alert: we’ll be back for more!